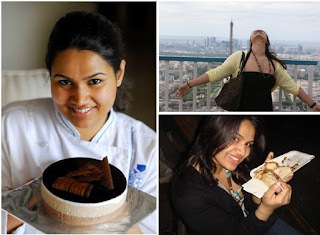 Le15 is a specialty patisserie in Mumbai. We explore unique flavour combinations, but are rooted in traditional French baking techniques. Everything is baked from scratch, handcrafted using only the finest ingredients and absolutely no preservatives. We focus on details and on creating something different and special for each one of our customers. 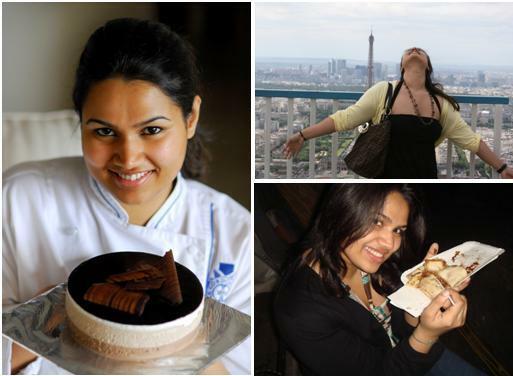 We began baking in our kitchen in March’10 and have a dessert counter in Worli and in Good Earth (Raghuvanshi Mills). Besides that, we share our knowledge on food and baking through gourmet workshops that are regularly held in our professional kitchen. We’d love to cater to your dessert and tea party needs. Just let us know your requirements, and we will put together something especially for you! I come from a food obsessed family. My father and brother own their own restaurants so planning a meal for us gourmandes can be a real task and often leaves my mother disgruntled. I’ve always loved being in the kitchen, whether it was tasting menus at my father’s Mexican restaurant when I was 12 years old, helping out my mother in her chocolate business when I was 16, or learning how to make the perfect scrambled eggs from my Norwegian flat mate at 22. Being an imaginative child I was very confused about my career options. I wanted to be everything from a lawyer to a teacher to a pilot. After a few months at law school I decided that it wasn’t for me and moved to Switzerland. The rest, as they say, is history. Switzerland led to Paris and I enrolled myself at the prestigious Le Cordon Bleu culinary school. That was the start of my year long culinary adventure. More than the recipes, I treasure the techniques I've learned from great chefs from my time in Paris. I don’t claim to know everything but it’s my love for knowledge (and for chocolate!) that keeps me going. The thing I love the most about the job is the ability to just think of something and create it. It’s been two years since LCB and my stay in Paris and now there’s nothing else I’d rather do than work in my kitchen. What “Le 15” means to me? Having spent a year in the 15th or Le 15ème arrondissement in Paris, this foreign city started feeling like home. The streets, the neighborhood cafes, the little shops around the corner, the metro stops and the pâtisseries all gave me a sense of belonging and are my connection to the city of lights. With “Le 15” I wanted to transport those mundane yet immensely important experiences of my life and translate them in a tangible form. Hence, “Le 15” was born. Being back home in Mumbai, India I hope I can give people little pieces of Paris through “Le 15” because for one year, Le 15ème became my home away from home. My tips on traveling to Paris!